(Newser) – Natural causes. 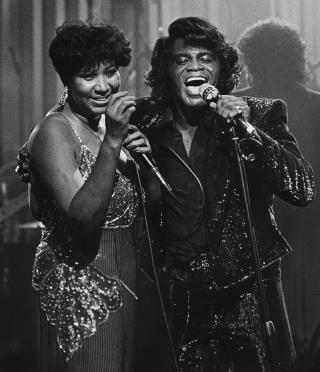 That's the official explanation for the death of soul icon James Brown in 2006 at the age of 73. Congestive heart failure to be more specific. Now, however, CNN has come out with a three-part investigation—Part 1, Part 2, and Part 3—raising the bombshell possibility that Brown was murdered. Writer Thomas Lake interviewed nearly 140 people over two years, including 11 who want a new police investigation. (Two others, Brown's daughter LaRhonda Pettit and son-in-law Darren Lumar, also believed Brown was murdered, but both died before Lake began his story.) One of the 11 is Dr. Marvin Crawford, who signed Brown's death certificate but now doubts natural causes and suspects an overdose, perhaps accidental, perhaps not, was the culprit. "He changed too fast," Crawford says. "He was a patient I would never have predicted would have coded. … But he died that night, and I did raise that question: 'What went wrong in that room?'" Where T F does ANYBODY get off messin' with the GOD o' soul???! It took a while to read, but that article is an excellent piece of investigative journalism. I don't really care too much for James Brown, but the story is fascinating and well written.